A mixed Cotswold Morris Dancing side practicing Thursdays at Miserden Village Hall, come and join us! Want to come along?Where are we dancing? Miserden Morris (Formerly Gloucestershire Mixed Morris) was established in October 2016 by a few members of the Gloucestershire Morris Men and some enthusiastic new recruits! This side is a mixed side, meaning that we have male and female dancers. We dance in the Cotswold tradition with dances from Gloucestershire, we do stick dances, hanky dances and corner dances! We practice on Thursdays at Miserden Village Hall 19:30-21:30. For more information on how to join, visit the ‘Join Us‘ section of the site. Dancing the Oddington, Sherborne, Bledington & Longborough Traditions! This site is dedicated to the memory of Simon Upton. Simon was one of the founders of and the first squire of Miserden Morris. Without Simon it is very unlikely the side would have been able to form, and less likely we would have done so well in such a short period of time. 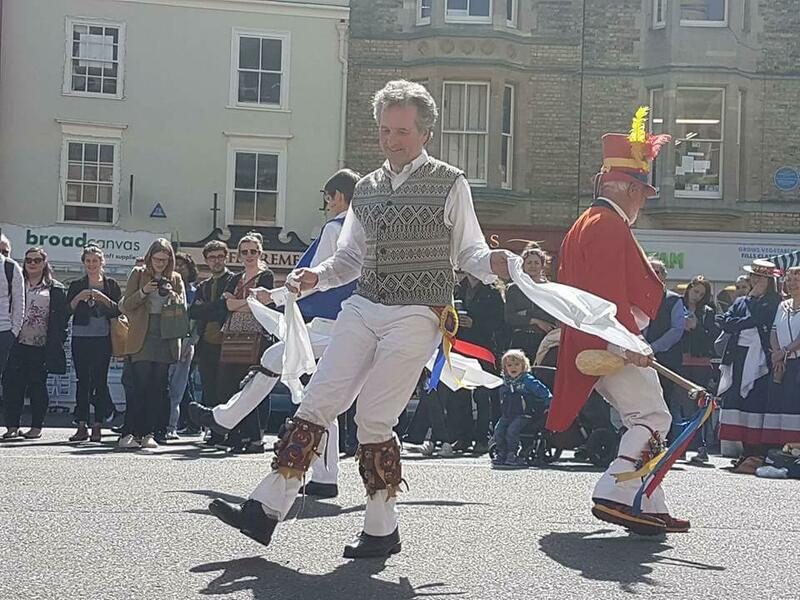 Simon spent the majority of his life preserving and dancing the gloucestershire traditions with the Gloucestershire Morris Men and has left a real legacy. He will be missed always!